Russia’s DIA seeks to seize property of Admiralteysky bank’s ex-heads | Russian Legal Information Agency (RAPSI). MOSCOW, November 6 (RAPSI) – Russia’s Deposit Insurance Agency (DIA) has challenged the Moscow Commercial Court’s refusal to seize property belonging to three former heads of the Admiralteysky bank, amounting to 1.9 billion rubles ($28.7 million), the court documents read. The appeal has been filed with the Ninth Commercial Court of Appeals. On September 27, the lower court ruled that the plaintiff did not provide evidence that recovery of property may prevent enforcement of a court ruling or is crucial for plaintiff. Earlier, the DIA filed a lawsuit against the defendants: Yelena Chervyakova, Nina Maksimenko and Ivans Kuznetsovs. During analysis of the Admiralteyskiy’s bankruptcy it was found that former heads of the bank provided credits to legal entities that did not engage in economic activity and did not have money to pay back their debts. 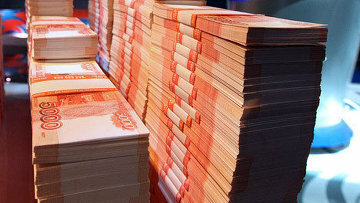 In May, the Khamovnichesky District Court of Moscow returned to prosecutors a criminal case against five defendants charged with unlawful bank activity in Admiralteysky bank estimated at 7 billion rubles (about $120 million) and credit fraud. The defendants pleaded not guilty. According to investigators, the defendants acted as members of an organized criminal group from January 2012 till September 2015. They allegedly used sham firms and Admiralteysky bank accounts to cash out 7 billion rubles and receive additional 250 million rubles ($4.3 million) as commission income. Moreover, two of the defendants allegedly embezzled 150 million rubles ($2.6 million) by providing false data to the bank. In January 2017, the Khamovnichesky District Court sentenced Musa Israilov to 3.5 years in prison for illegal banking activity and embezzlement of more than 23 billion rubles (over $370 million) from Admiralteysky bank. The court also collected 210 million rubles ($3.6 million) from Israilov on a civil claim. 10:59 06/11/2018 Russia’s Deposit Insurance Agency (DIA) has challenged the Moscow Commercial Court’s refusal to seize property belonging to three former heads of the Admiralteysky bank, amounting to 1.9 billion rubles ($28.7 million).